Inside Message: He heard there was a party going on. Have fun on your birthday! Combining music and movement, this birthday card features a chicken who, once the card is opened, is ready to get funky on the dance floor. 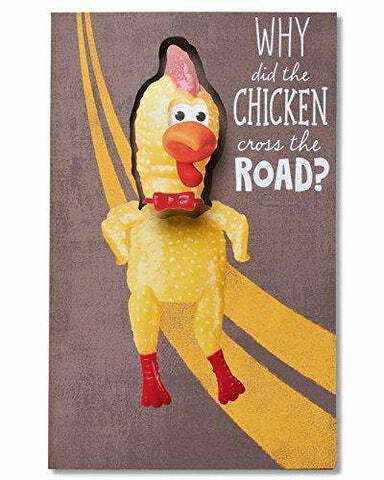 Open the card to make the chicken dance along to "I Like to Move It"